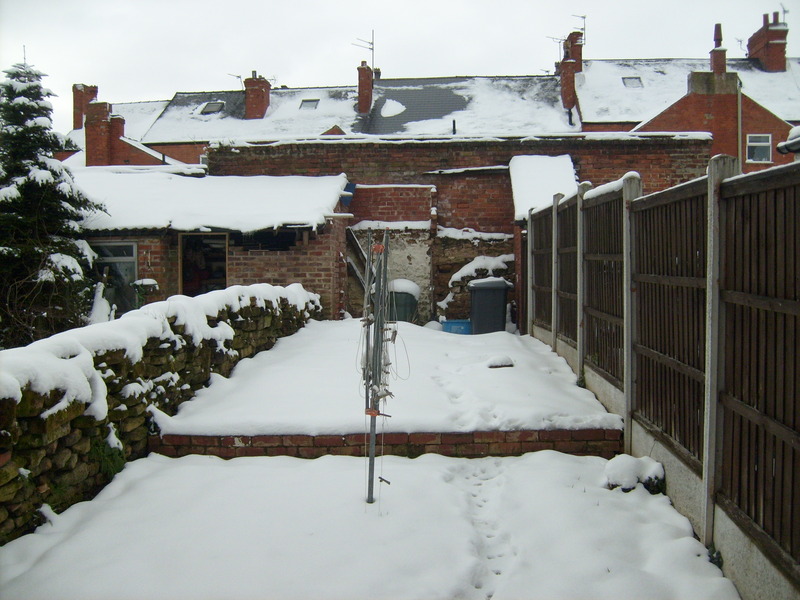 This was the view from my kitchen door here in Nottingham, England on Sunday morning…. So, in an attempt to dispel the frozen temperatures, my hobbying activities have turned to the warmer climes of the desert…. to be a little more specific, the Sinai Desert 1967. I’ve been very interested in the Arab/Israeli conflicts of both the 21st century and biblical times for some years, the outcomes are always so astounding! I have also been a long time fan of the smaller miniature scales, especially for modern combat, as my 6’x4′ table allows for lots of room to maneuver with tiny tanks. I am also a self-confessed ‘Rules Butcher’ and love following rainbows to find the pot of gold that is, ‘the perfect rule set’!.. Deluded much?.. but at least it passes the time. 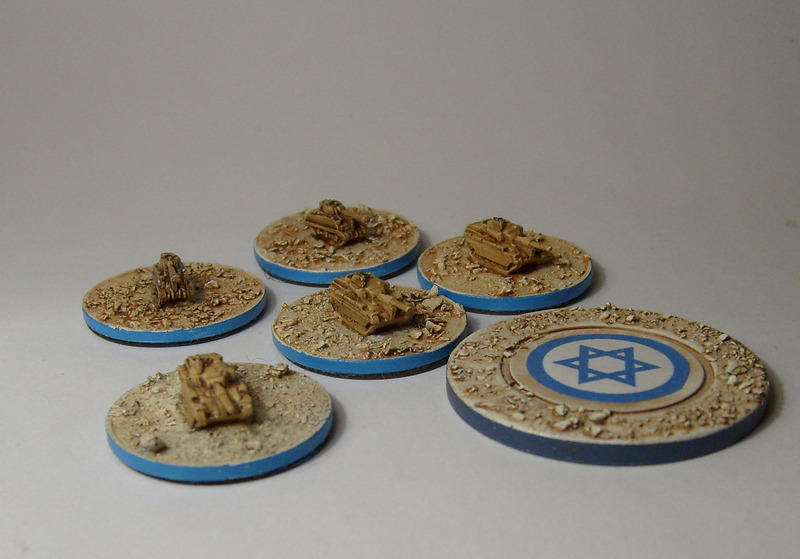 Last year I decided to start an Arab/Israeli Wars project and having already bought several packs of Oddzial Ozmy 1/600 scale WWII miniatures in the past, I knew that they were very nice sculpts and so I tarried not in ordering a couple of packs of their modern miniatures and writing a rules set. The miniatures are, for the most part, finished. The rules however, are not. I have made some positive progress over the weekend and hope to post the finished draft up on this blog for anybody who may be interested, sometime in the dim and distant future, I mean, I’ve got to be happy with them at some point surely!? But for now, some ‘eye candy’. I use wire wool ‘brewed-up’ and cotton wool ‘movement’ markers during the game to keep up with what’s happening from turn to turn and create a dramatic & cinematic look to the battles. A point that you will be able to judge for yourself as soon as I get around to taking some ‘in game’ pics. 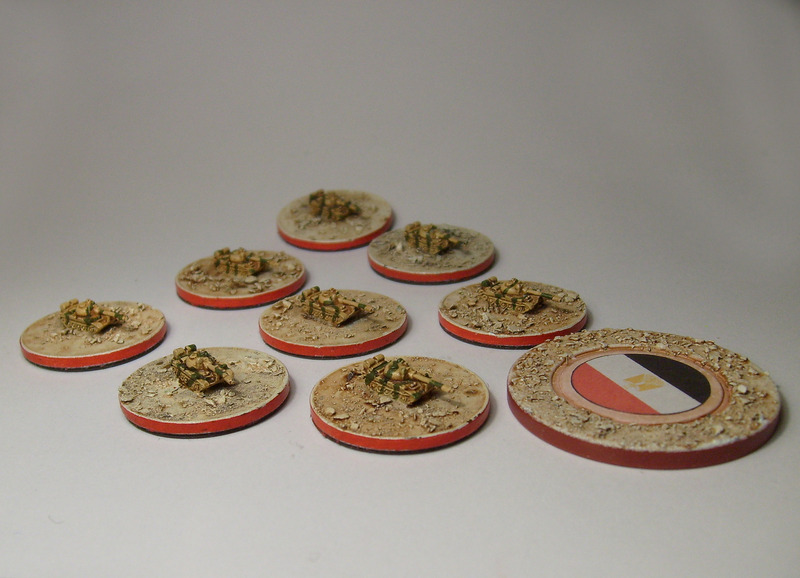 I’m also working on some anti-tank guns at the present moment and will post pictures up at the first possible opportunity but for now, I’m going outside, I may be sometime…..